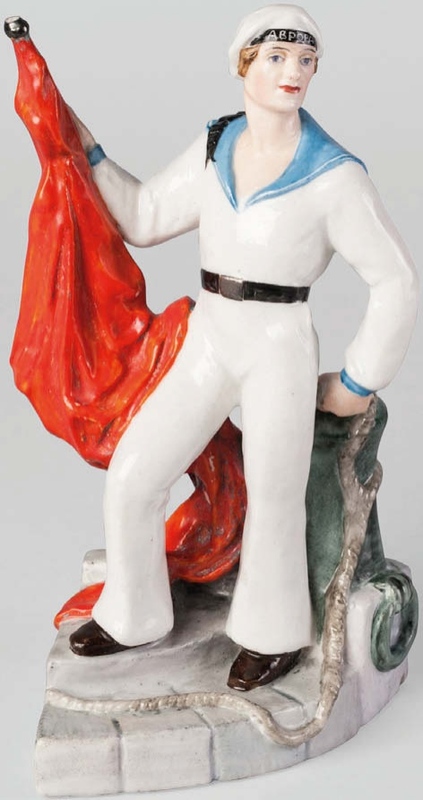 Roseberys’ Decades of Design auction in London on March 28 features a pair of Soviet sailor models designed by Natalia Danko for the Leningrad Lomonosov Porcelain Factory. They date from 1927 and are consigned from the estate of the late Nadia Slow, who was of Russian descent. They bear an impressed factory mark, possibly a special Jubilee mark for 1927, and the hammer and sickle seal dates from the 1918-30 period. Offered separately, the 7in (18cm) high works are estimated at £2000-3000. The sailor pictured above holds a red banner and wears an Aurora cap band. 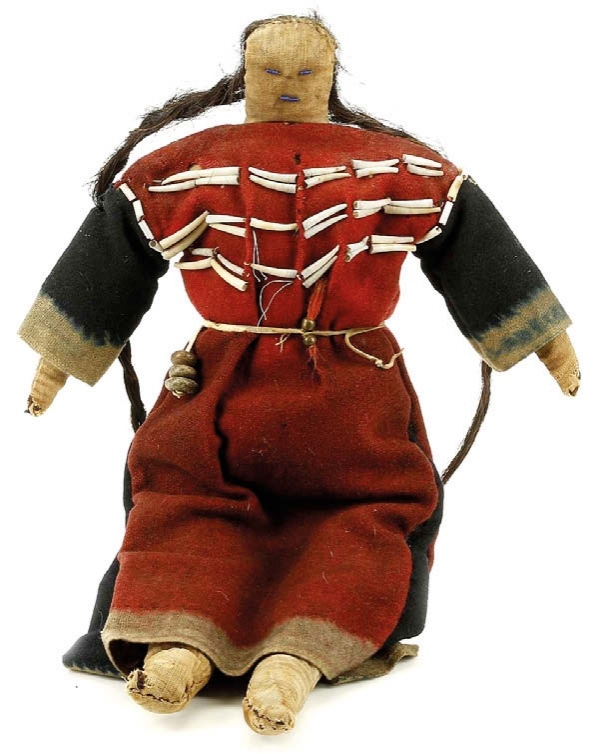 Guided at £2000-4000, this Native American Plains beaded cloth doll is going under the hammer in Chiswick Auctions’ Antiquities and Tribal Art sale in London on March 29. Measuring 19in (48cm) high, the doll is wearing a traditional red and blue dress decorated with dentallium shells and is decorated to the head with beaded facial details and long braids. Among the highlights of Mellors & Kirk’s March 22-23 sale in Nottingham is this pocket globe by Nathaniel Hill (fl.1746-68). 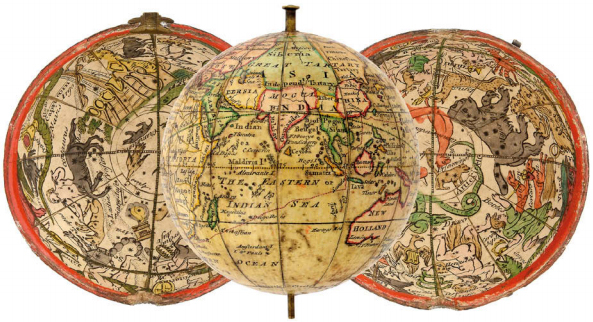 Priced at a modest 7 shillings and 6 pence, Hill’s New Terrestrial Globes of 1754 were among the most popular of the mid-18th century. In 1783, it was reissued by the celebrated English globe-maker John Newton, who, with minimum revisions, used the Hill plates as the basis for his own first pocket globe. This 2¾in (7cm) example is inscribed in a rococo cartouche A NEW Terrestrial GLOBE by Nat Hill 1754. The interior of the fishskin-covered case is decorated with hand-coloured engravings of the heavens. A prize-winning model locomotive leads over 1000 lots lined up for Special Auction Services’ Glorious Trains sale on March 22-23 in Newbury, Berkshire. The finescale O gauge 2-rail electric train is modelled on Great Western Railway’s King James I locomotive, no 6011, and is crafted in nickel-silver with brass and copper fittings. Built by James Bremner in 1972, it won the Model Railways Trophy and Model Engineer Silver Medal in 1973.